"Hi, I'm Bruce Warren, I'd like to be your guide!" Fishing is an adventure at any age! Come join me and go fishing for Salmon, Steelhead and more. Check out my rates and my photo album. 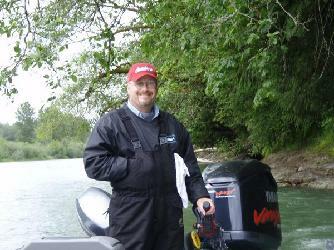 For a good time, call me at (253) 208-7433 or email me at brucewarren@fishingforfunguideservice.com . Let's go Fishing For Fun!